News, Updates and Everything else!!! At the moment I am working on a new project for charity. If all goes to plan it will be travelling the country sometime this year. 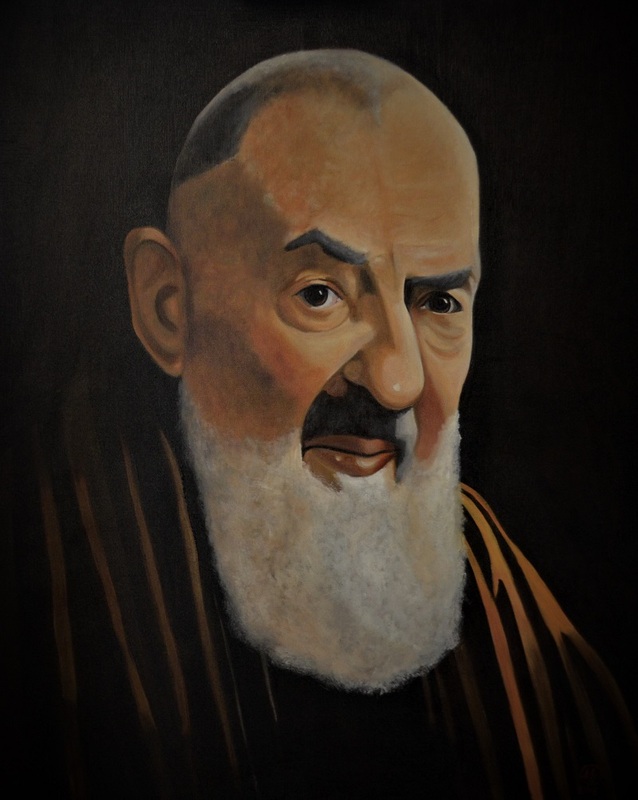 My most recent work.. another Padre Pio.. Such a great character to paint. I had the idea of doing a pictorial representation of the last words Christ spoke on the cross in Aramaic. Eli Eli La-ma sa bach tha-ni. 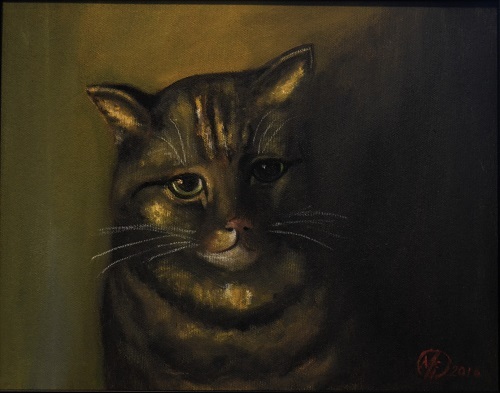 The painting is oil on board set in an oval frame. It measures 495mm x 400mm. After George Delatour... Just finished. 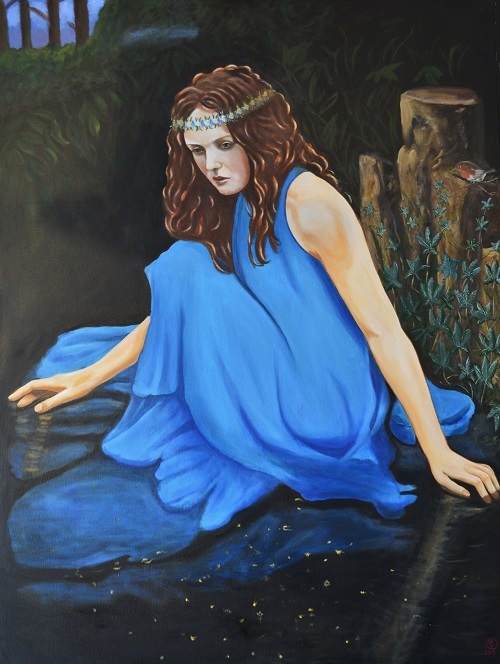 A teaching piece I have done for the young lady in the painting. My Latest Complete Work.. a self portrait. Pope Francis the finished piece. Working Hard on my next projects. Madonna and Child finished just in time for christmas.. and very pleased how this turned out. A commision piece... A much loved companion. Completed for a friend... a cat lover no less. My Most recent finished work entitled Lady Amber. One more Lion for the exhibition. Two more of the Old Soldiers done. Fr Emmanuel Just finished.... and pleased to say the priest was very happy with it. Michael Collins, a private commission just finished. The Rabbi, A newly completed work ready for the Royal Portrait Society as an open entry. 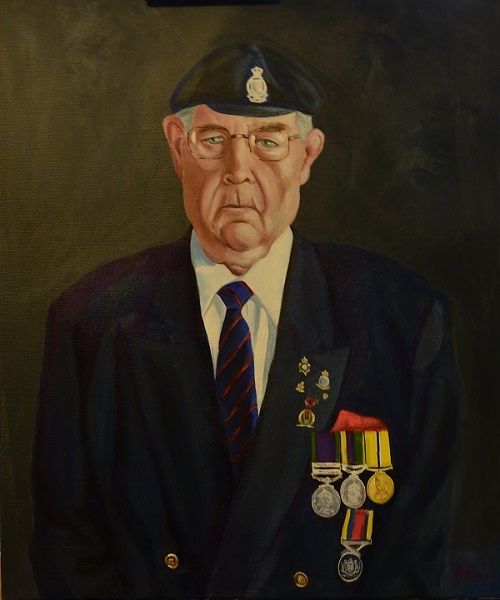 Mr M Hanley, One of my recently finished works ready for the SSAFA exhibition. One of my Step Daughters Lovley little friends... Meet Molly. Just finished a very true to life Roma Rose. Working hard on my most recent piece. The letter. From an original photo The lovely Hannah. My most recent piece. My most recent completed Piece. Original image courtesy of Andy Green Photography. 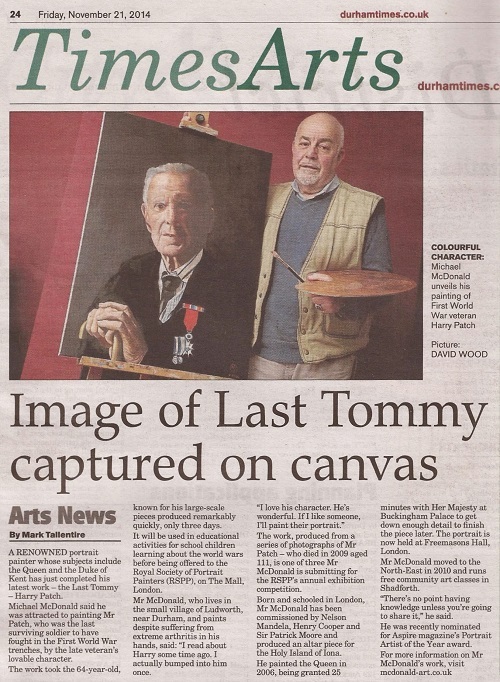 I have just finished the portrait of Harry Patch "The Last Tommy" One of my ultimate heroes. Oil on Canvas 30 inches by 24 inches. Which makes it life sized. 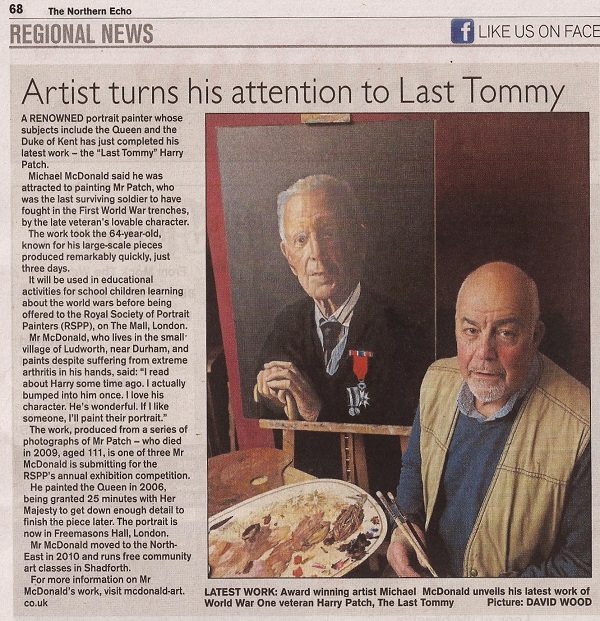 Sadly Harry died this year at the age of 111 the last surviving soldier from the first world war hence the title The Last Tommy. I hope you like it and please as always let me have your comments on my work. 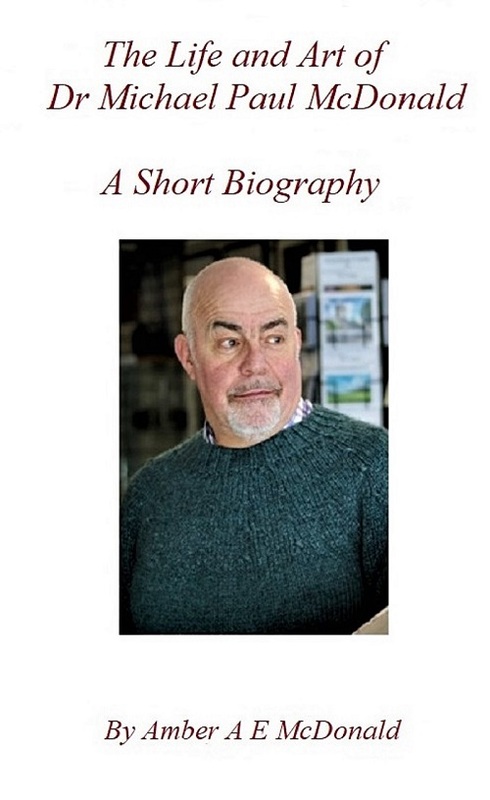 "I have always found portraiture fascinating. 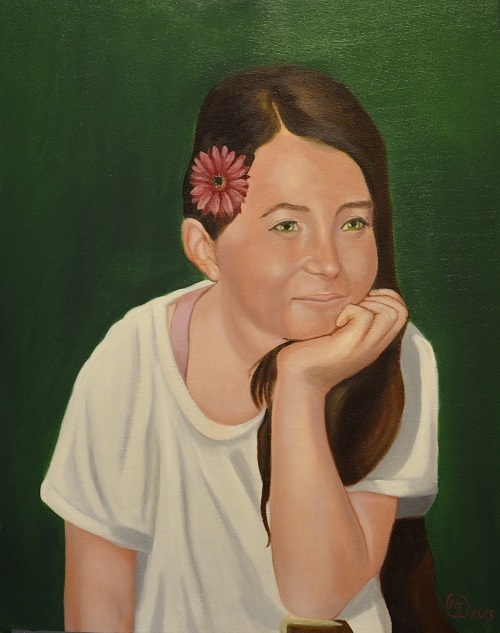 I relish the challenge of creating a likeness in oils on canvas. Since i was a small boy I have studied the human face. Everyone has the same features but yet they are all so very different. 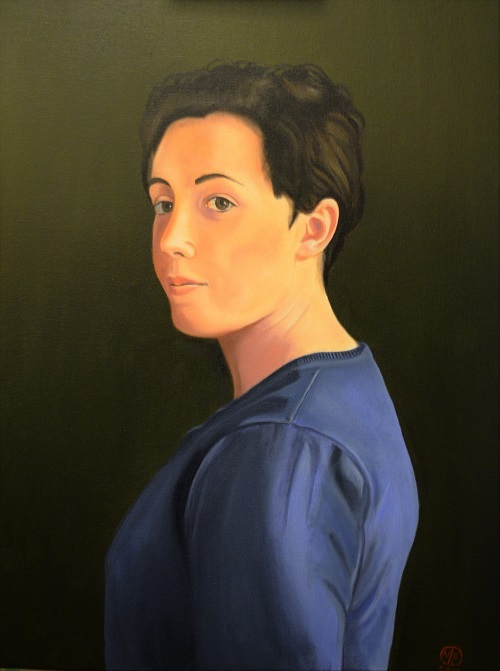 The very essence of a good portrait is not only to create an exact likeness of the sitter but to capture their character. 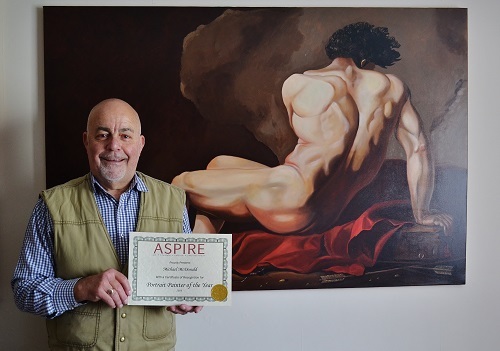 When I receive a commission I like to meet the sitter for a chat, thereby I learn so much more about their outlook on life, their hopes and aspirations. 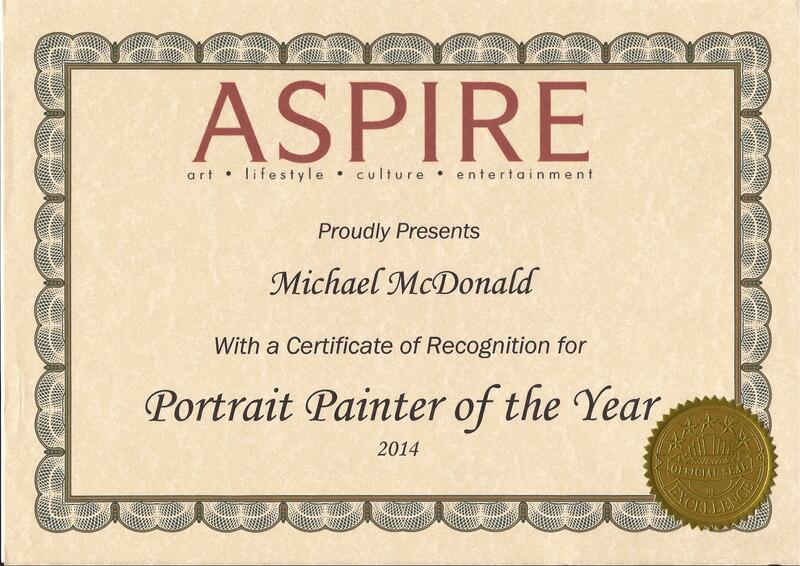 I consider it a great honor to receive this certificate from aspire magazine naming me portrait artist of the year. " My most recent accolade. 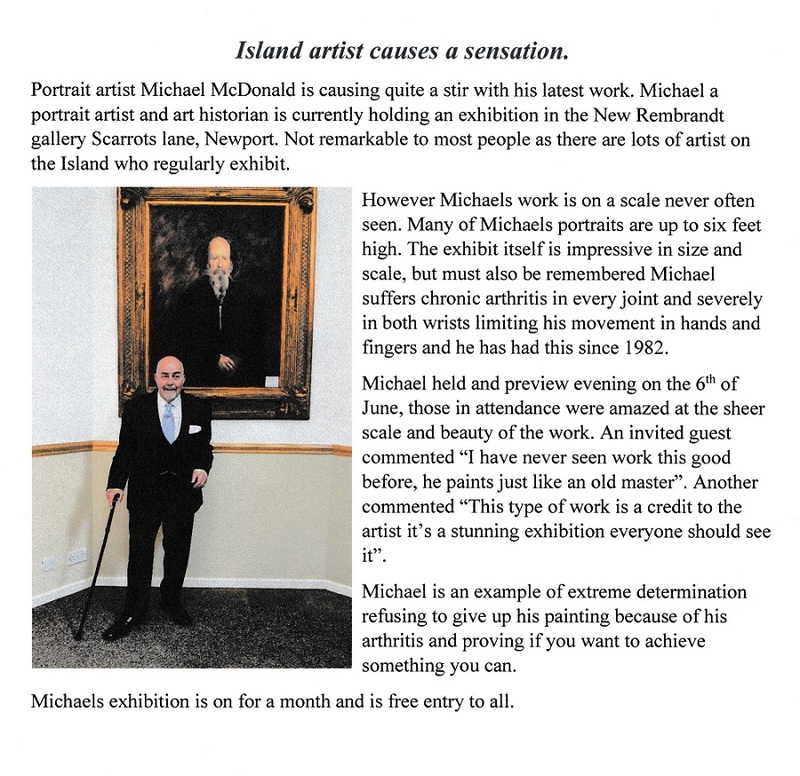 And also to Be featured article in the magazine itself. My most recent newly finished work. Painting dogs is brilliant they have such lovely characters. A lot of work being done at the moment. This photo was taken today, So much fine detail in this one in the style of Renoir. Ralph. Fresh off the easel. My latest finished piece (Original image courtesy of Andy Green Photography). Working hard at the moment. My latest almost finished piece. Officially Handing over Nelson To the Hartlepool Maritime experience today!!!. 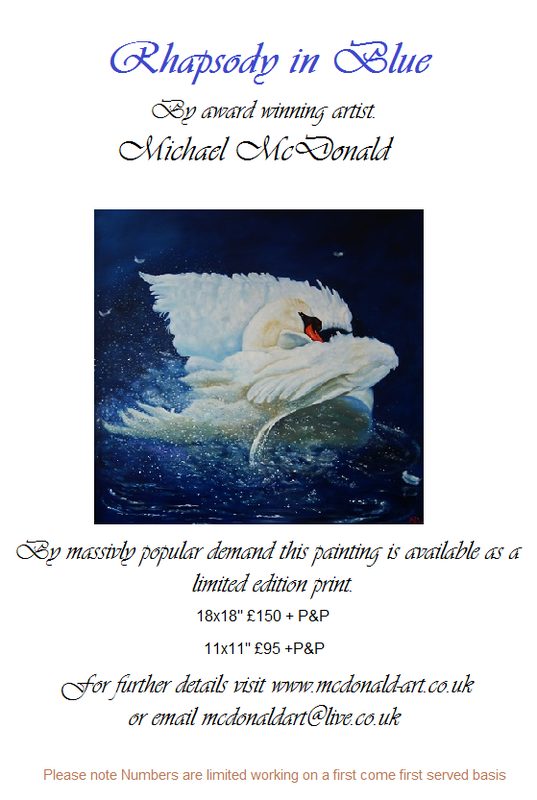 All paintings available for sale or as a limited edition print. Very Busy over the last few weeks. Sir Alex completed and prints available. As well as a few more detailed works. Lots going on at the moment, Presentations to organize, Classes to teach and interviews to give. 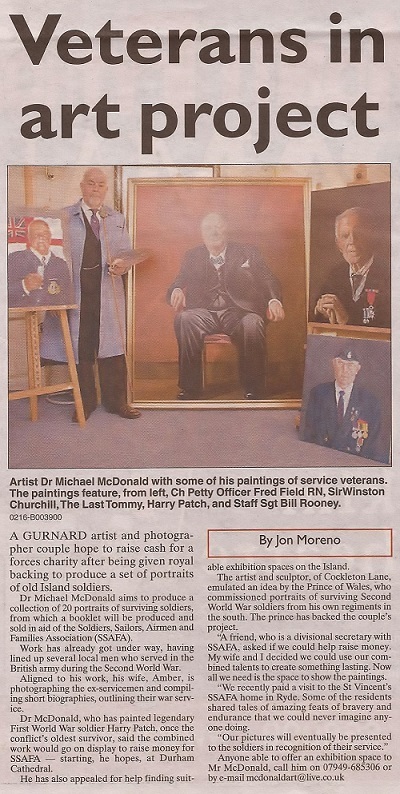 The Grand Master finished and ready to be presented. 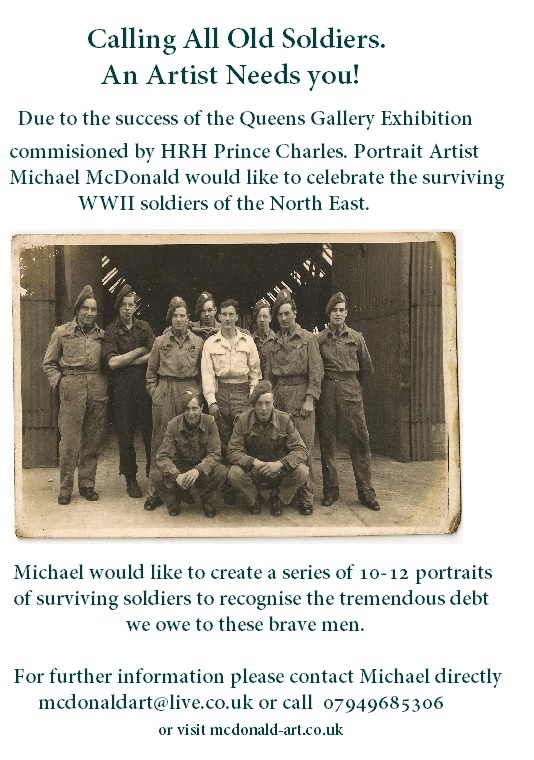 Ad featuring in the Living North Fine Art Supplement. The Death Dealer. From the Original by Frank Frazetta. This is oil on canvas 1m x 1m. Looking forward to being back teaching in the local village!!! The Sea, my most recent work to date. Love being able to work in a very free style. Some latest work just finished and ready to send. At last my new page is up and running. 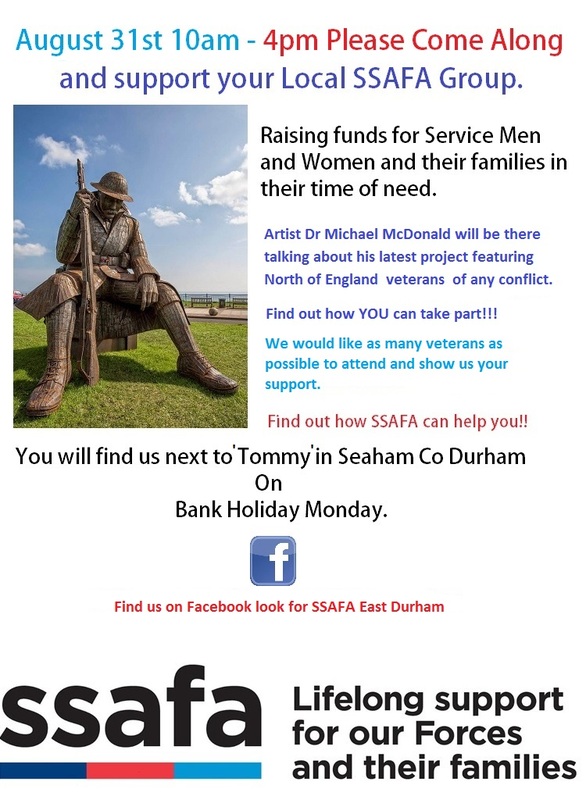 Please feel free to ask any questions, leave comments or just have a general chat about art.. I love to hear what people think.